To honor the legacy of Mannan, the Artie McFerrin Department of Chemical Engineering has established an endowed scholarship in his name. 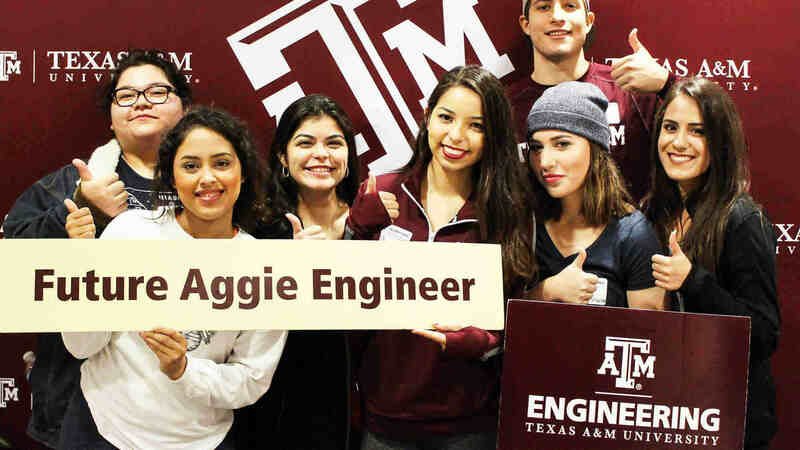 The Dr. Sam Mannan Endowed Scholarship is designed to prepare chemical engineers for leadership roles in in the process safety field, and will be awarded to a student pursuing an undergraduate degree in Chemical Engineering with a minor in Safety Engineering from Texas A&M University. 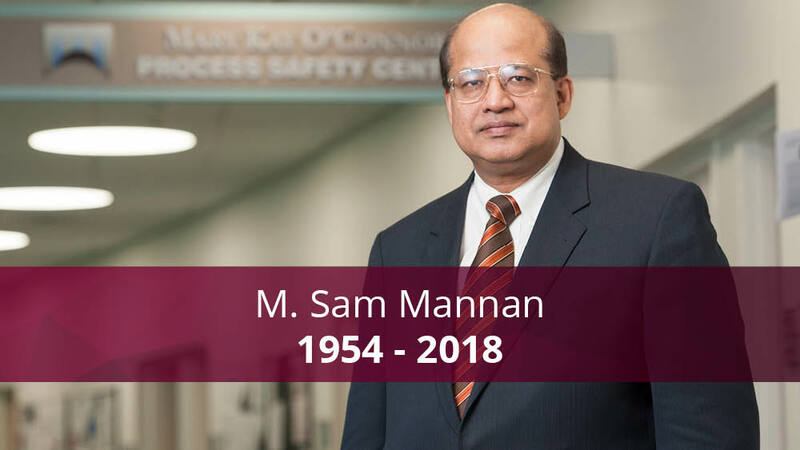 Dr. M. Sam Mannan, executive director of the Mary Kay O'Connor Process Safety Center (MKOPSC), passed away on Tuesday, Sept. 11, 2018. Mannan’s work at the MKOPSC has influenced the entire chemical engineering industry in the U.S. and worldwide. Process safety, which was once seen as little more than wearing safety goggles or a lab coat, has become one of the most important areas of chemical engineering. Throughout Mannan’s more than 20 years with the center, the MKOPSC has been a driving force in industry’s adoption of more rigorous safety standards. Mannan, Regents Professor and holder of the T. Michael O'Connor Chair I in the Artie McFerrin Department of Chemical Engineering at Texas A&M University, was a fellow of the American Institute of Chemical Engineers, fellow of the U.K. Institution of Chemical Engineers and a member of the American Society of Safety Engineers, International Institute of Ammonia Refrigeration and National Fire Protection Association. Earlier this year, Mannan was also appointed to serve on the Department of Energy's Hydrogen and Fuel Cell Technical Advisory Committee. 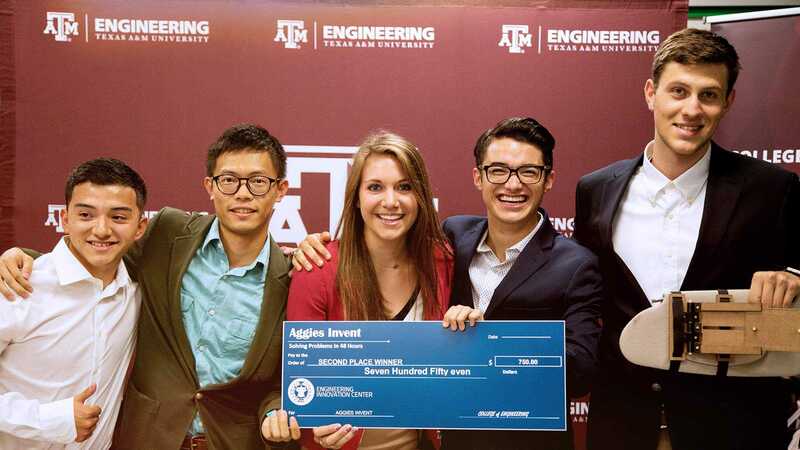 Mannan has received countless awards for his work, including the Texas A&M Engineering Experiment Station (TEES) Engineering Genesis Award in 2014, the Charles W. Crawford Service Award, at Texas A&M in 2014, the Bush Excellence Award for Faculty in Public Service at Texas A&M in 2012, American Institute of Chemical Engineers Norton H. Walton/ Russell L. Miller Award in 2009, the medal of honor from the Technical University of Lodz, Poland in 2008, and the Texas A&M University Association of Former Students’ Distinguished Achievement Award for Teaching in 2003. In addition to these awards, Mannan was named the first holder of the M.A. Naser Chair by Bangladesh University of Engineering and Technology; Distinguished Visiting Professor, SINOPEC Research Institute of Safety Engineering, Qing Dao, China; and Distinguished Honorary Professor, Rajiv Gandhi University of Petroleum Technology. In 2011, the Technical University of Lodz, Poland, conferred a doctoris honoris causa on Mannan. He was a prolific author and researcher. He co-authored Guidelines for Safe Process Operations and Maintenance published by the Center for Chemical Process Safety, American Institute of Chemical Engineers. He is the editor of the 3rd and 4th edition of the three-volume authoritative reference for process safety and loss prevention, Lees’ Loss Prevention in the Process Industries, and co-authored a book, Multiscale Modeling for Process Safety Applications. He has also published over 300 peer-reviewed journal publications, more than 220 proceedings papers and more than 270 technical meeting presentations. Mannan is survived by his wife Afroza Mannan and their two daughters, Joya and Rumki.